While both food sets use a similar design and the same 200 players, editors made minor layout changes prior to printing. Boxes in the scan below show how to distinguish them by photo cropping and stat line. General Foods distributed players unevenly across their brands, so lower-selling cereals in 1963 meant fewer cards for collectors today. These "short prints" number in the dozens, but I haven't seen an authoritative list. 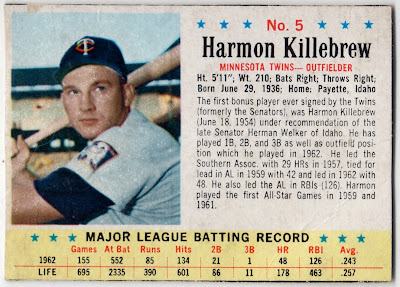 They're interesting cards to collect, even in low-grade, but set completion proves challenging given those tough cards. UPDATE: Post included 5 players per cereal box panel and Killebrew appears on this one with a couple of other notable sluggers. 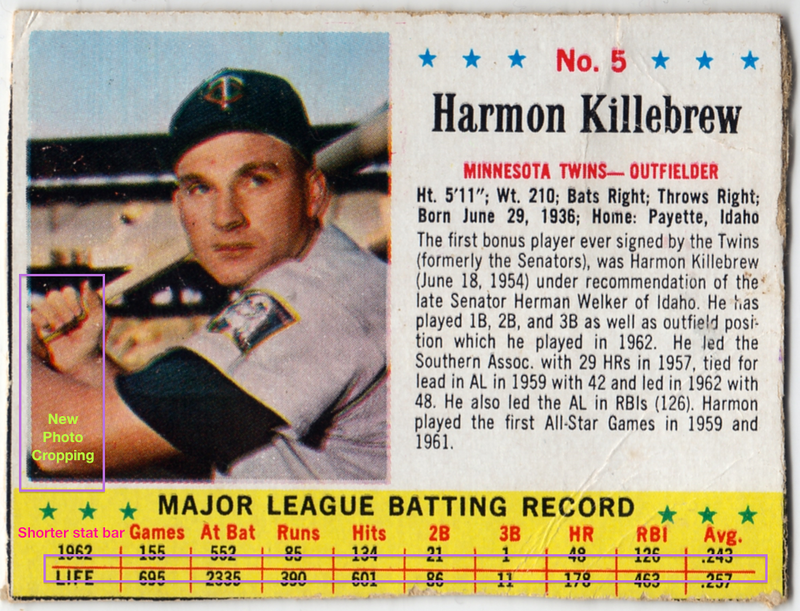 Value: Killebrew cost $10 at a show, similar to most HOFers. Mantle and other superstars will run higher, especially in nice shape. 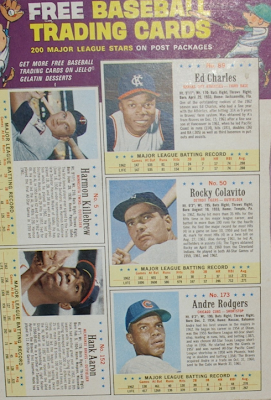 Full box panels are often several times that, depending on players and condition. Fakes / reprints: Have't seen any in the marketplace, but assume some exist for Mantle, at least.